As unpleasant as conflict is, it seems to be an inevitable part of life. There are many reasons for this, but such are not the subject of this post. I would rather like to focus our attention on the three main options available to us in responding to a person who wrongs us, namely: aggression, passivity or assertiveness. It should be clear from the previous posts on anger that aggression against another is an unchristian and decidedly unhealthy manner in which to respond to conflict. An aggressive response will likely lead to an escalation of grievances rife with negative consequences that further damage domestic, social, and professional relationships. The ascetic fathers would by and large agree with this approach to conflict, although they would, as expected, come at it by another way. For them, being passive or being aggressive results in a distortion of the truth. The hardship-avoiding (φυγόπονοι) passive are neither fully honest, nor truly brave. The more-than-an-eye-for-an-eye aggressive are often self-centered and lacking in love. Neither path characterizes a life of virtue, holiness, and Christian heroism. For the fathers, any human response to conflict should speak the truth bravely, honestly, and with a spirit of love. This is what the confessors did before tyrants and torturers. This what the Lord commanded His disciples, saying “But let your communication be, Yea, yea; Nay, nay: for whatsoever is more than these cometh of evil.” Courageous, plain speaking without obfuscation and with a spirit of love, this is the ideal of the Gospel. This takes real effort and only those who are devoted to the spiritual struggle can hope to respond to conflict in the manner described by Saint Isaac. 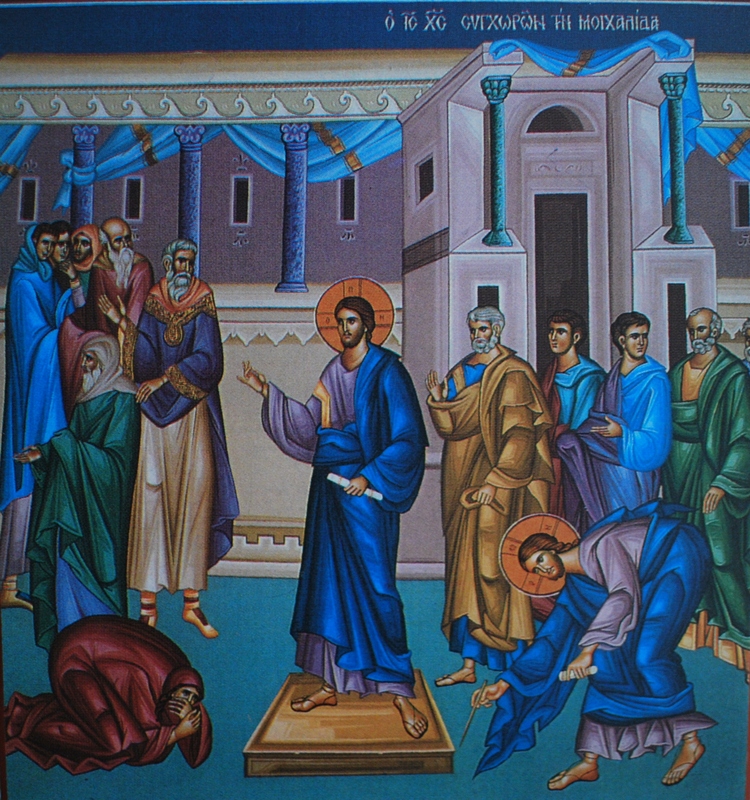 It certainly can be helpful to engage in one of the patristic methods described in the previous posts for dealing with anger before trying to speak, for the temptation to respond aggressively or passively is a very real one, especially for those who are not spiritually vigilant and fortified by prayer, fasting and almsgiving, all done for the sake of love. In the Christian context, the person who chooses to respond assertively is not so concerned that his needs are met or his dignity is upheld, for his primary source of reference remains his faithfully Loving Father, not his wayward brothers and sisters. Rather, the chief concerns remain, “did I speak the truth?” and “Did I speak the truth in love, in such a way that my brother or my sister may see the path that leads to life?” This Christian assertiveness is not about winning the argument and never about humiliating the other, but it is about letting your light (which is the light of Christ’s truth) shine before others in word and deed. Let me illustrate this point by referring to the Gospel account of the woman caught in adultery. According to ancient tradition, when the Lord Christ stooped down to write on the ground he was revealing the secret sins of the woman’s accusers so that they might repent. He could have chosen to shout out the sins of the Pharisees and scribes and humiliate them. That was not his goal. He spoke the truth in love in order to save the woman from stoning and give the Pharisees and scribes an opportunity to repent. According to Saint Nikolai of Zhicha, “Christ did not want their sins to be made known to everyone. Had He desired this, He would have announced them before all the people, and would have accused them and had them stoned to death, in accordance with the law. But He, the innocent Lamb of God, did not contemplate revenge or death for those who had prepared for Him a thousand deaths, who desired His death more than everlasting life for themselves. The Lord wanted only to correct them, to make them think of themselves and their own sins. He wanted to remind them that while they carried the burden of their own transgressions, they shouldn’t be strict judges of the transgressions of others. This alone did the Lord desire. And when this was done, the dust was again smoothed over, and that which was written disappeared.” That is an assertive response par excellence!